We can accommodate private parties up to 100 people for rehearsal dinners, wedding receptions, family reunions, corporate events, bridal luncheons and more. Winslow's features a number of attractive spaces to fit a wide range of party sizes and styles. 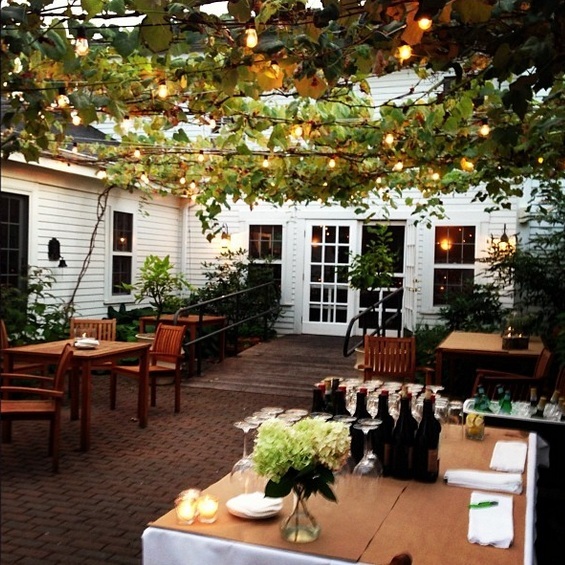 Our charming garden courtyard is the perfect spot for an intimate al fresco gathering or a lavish cocktail party. For a more casual option, our upstairs bar has ample space for groups up to 75 and offers weekly live music in season which makes it a great post-dinner spot for continuing a celebration.